Offering all the features of the standard Sebenza 21, the Chris Reeve Small Sebenza 21 Bog Oak Wood Inlay is an elegant addition to Chris Reeve's trusted Sebenza 21 line. By continually improving on his design, Chris Reeve adds aesthetic appeal and unique style, without sacrificing the simplicity and durability of the original. Buried in a peat bog, the several hundred-year-old bog oak inlays are nearly black from absorbing the surrounding minerals, adding an exquisite touch to the classic Small Sebenza 21. Revered for its ornamental use throughout history, bog oak offers a warmer, more organic feel, unlike metal, and its timelessness imbues an air of character and style. 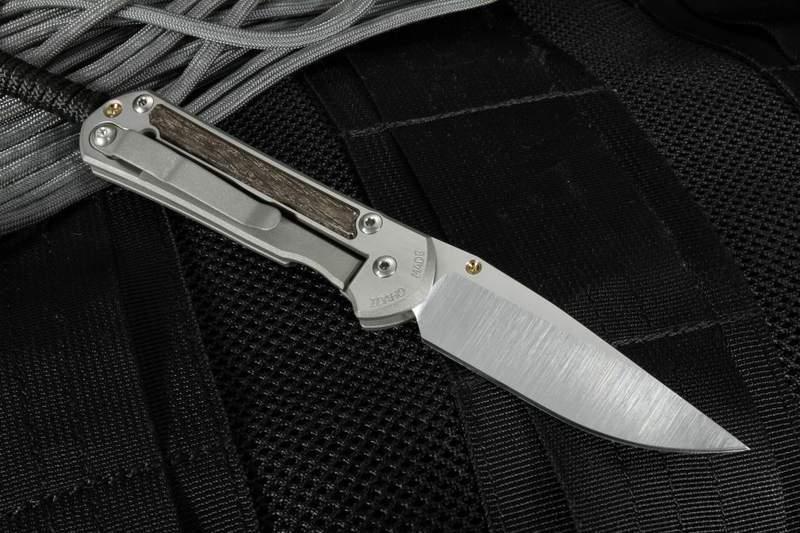 Combined with the 3 inch, S35-VN stainless steel dropped point blade, razor-sharp hollow grinds, and an RC of 59-60, this folding knife is both sophisticated and reliable. At a folded 4 inches, this knife is ideal for everyday carry, and the lightweight titanium construction keeps its weight at a low 2.8 ounces. The anodized titanium thumb stud allows for easy opening, and with the integral lock feature, file worked thumb rest and blasted titanium tip-up pocket clip, you can feel safe and confident with pocket carry. A convenient black cord lanyard comes attached to an anodized titanium spacer pin, and a brown leather calfskin pocket pouch, chamois, and accompanying paperwork are also included. From humble beginnings in 1984, Chris Reeve Knives gained a worldwide reputation for longevity, reliability, and craftsmanship. As a trusted name in the industry, Chris Reeve continues to improve upon his designs, and in 2015, he was inducted into the Cutlery Hall of Fame. 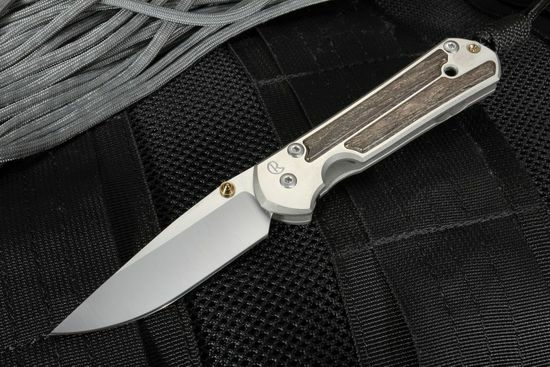 The Chris Reeve Small Sebenza 21 Bog Oak Wood Inlay is a gem for your personal collection, and as an authorized dealer, KnifeArt.com offers a large selection of Chris Reeve knives, hassle-free returns, and same-day shipping. This knife comes with paper work, chamois, and a brown leather calfskin pocket pouch.